Creed 2 is currently in theaters, but it doesn't have the original ending that gave Ivan Drago redemption. Dolph Lundgren was not originally interested in returning to his Rocky IV role as Drago, but after reading Sylvester Stallone's script, he was convinced that he could step into Drago's shoes again, mainly because he believes that he and his character have traveled down a similar path over the last few decades. Lundgren's performance in Creed 2 has been receiving praise from fans and critics alike. As it turns out, Creed 2 nearly had a pretty different ending. When it came to certain things, Dolph Lundgren was able to fight for parts to remain in the final cut. For instance, when Rocky and Drago meet for the first time, Lundgren insisted on his character telling Rocky what he had been through the last handful of years, and he won that battle. While he doesn't mention if he fought for it, Lundgren wasn't able to include redemption of Drago. He explains. "At the end, after the fight, Adonis and Rocky are walking back and they see Ivan taking the wraps off his son's hands and kind of comforting him. He's feeling bad for losing. I leave the room and Adonis walks in and talks to my son. I come back in and we have a moment, me and Adonis, and then I have a moment with Rocky after that. That was taken off. Maybe it was too much or maybe it was too emotional or too soft. Maybe redemption comes next time around." Dolph Lundgren was pigeonholed after starring in Rocky IV, with many people thinking that he was that robotic, emotionless Ivan Drago. He was able to star in a bunch of movies afterwards, including Masters of the Universe, but nothing came close to the success of his first real role acting alongside Sylvester Stallone. Lundgren went through a lot of personal and professional problems, much like Drago in Creed 2 in the years since Rocky IV, but things started to pick up again when Stallone reached out to the actor to once again star alongside him in The Expendables franchise. Things are on the rise yet again, with Creed 2 now in theaters and collecting critical praise. Creed 2 has been gaining mostly positive reviews, with many calling it a suitable sequel to the first installment, even though it might not equal the greatness of the last movie. With that being said, the door is open for another installment, though it will be drastically different. 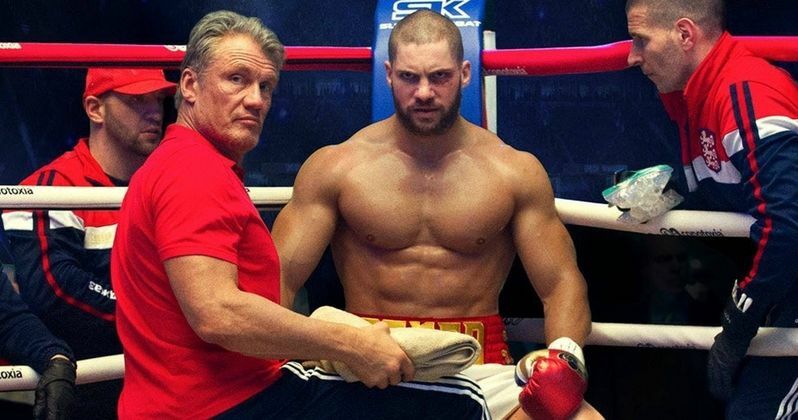 Fans would love to see Dolph Lundgren back as Ivan Drago again, so maybe we can see a return along with Viktor Drago as well. At this point in time, anything is possible for the franchise. You can read the rest of the interview with Dolph Lundgren over at Slash Film.